“I appreciated hearing the interview with Bill Lahey and his explanation of the differing management strategies for multi-aged Acadian Forest versus softwood forests that are more prone to disturbance regimes. I think I may speak for many of us — the “groups” or “individuals” whom Minister Rankin referred to on March 25th — those who are very concerned about the unabated clear-cutting in the wake of the Lahey Report. It’s not that we have no grasp of forestry, but that we have lost whatever faith we had in the consultative process to determine which forest stands should be subjected to aggressive harvest prescriptions. 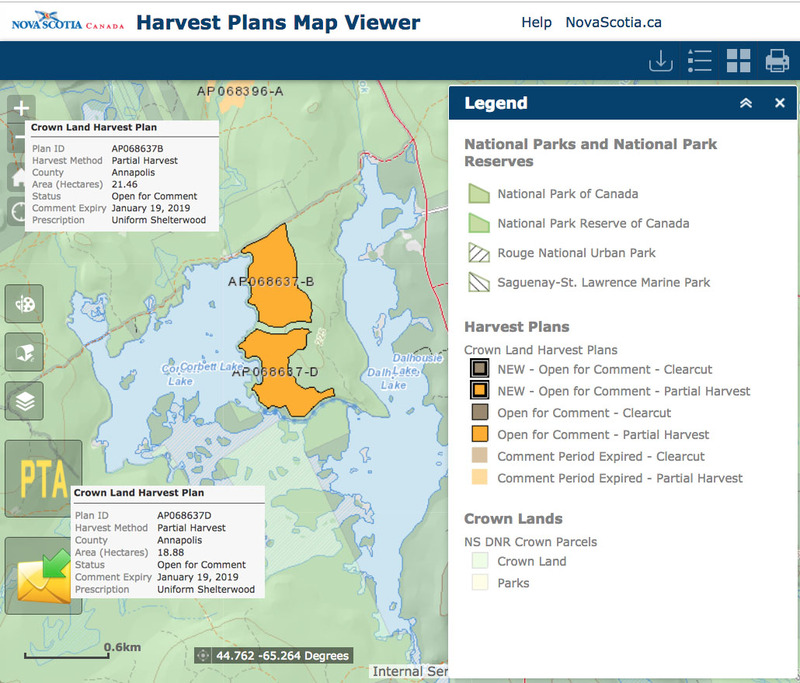 “For some time, I, along with many others across the province, have been studying proposed harvests using the provincial Harvest Plan Map Viewer mentioned by Minister Rankin as the public’s way of submitting our opinions and feedback. “Although the terms of the harvests have just recently been changed, the majority of all approved harvests until the change in terms, have been for “clear-cutting”. Those that weren’t prescribed for clear-cutting were almost always slated for “uniform shelterwood” which is nothing more than a two stage clear-cut. “Many of us made use of the public comment system mentioned by Minister Rankin — but it only allows for a 40 day comment period which comes almost at the very tail-end of the process for approving a forest for harvest. In only a few very rare cases that I am aware of, has public input effectively resulted in substantial change to a harvest plan. Is it really any wonder that we, the public, are left wondering how almost every forest stand across the province that has been proposed for harvest for the past several years, could possibly be earmarked for either clear-cutting, or uniform shelterwood cutting? “For this to be the case, it pretty much signifies that we must have almost no valuable, multi-age forest remaining anywhere. If not already true, this will soon be the case if clear-cutting is permitted to continue without some kind of moratorium and re-evaluation of the actual state of the forests. A *lot* of forests were approved for clear-cutting last year – and more are being added all the time, but under the “new” named prescriptions that amount to pretty much the same-old-same-old. The new moniker of “variable retention” can be as much 70 to 90 percent removal of a forest stand. “We here in Annapolis County have been working to have a particular forest — one which Minister Rankin knows of and has actually visited — saved from heavy harvesting. 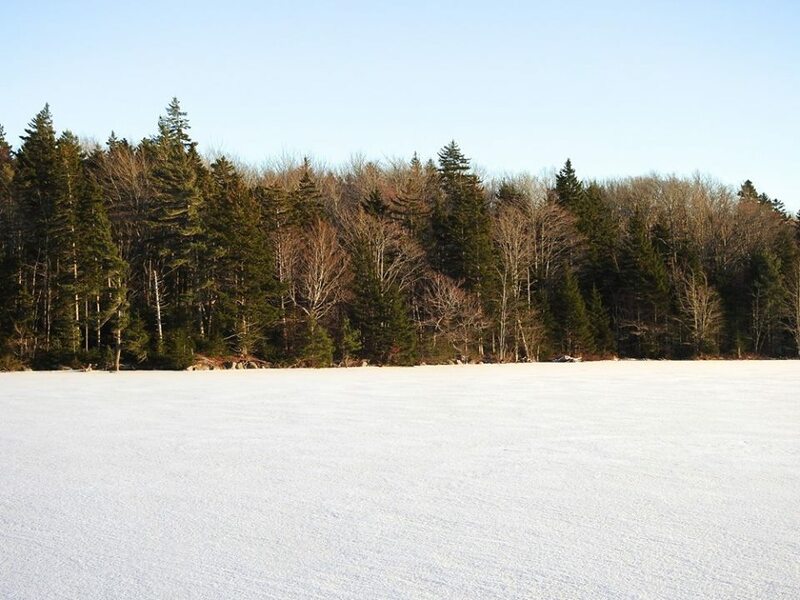 This is the hardwood stand on the peninsula between Corbett and Dalhousie Lakes just south of Bridgetown. “This is the forest that 18 of our local citizens went out to “visit” on Boxing Day 2018. It was slated for “Uniform Shelterwood” which meant it would be mostly harvested in one cut, then the rest of the “shelterwood” trees removed in about 3 years. We went out there and found that it was a multi-aged “old” Acadian forest with Yellow Birch trees up to 8 feet in circumference and massive Sugar Maples, Red Spruce, and other species. “Some harvesting had already taken place at the south end of the stand, so we got to see how it will be treated. It was not a pretty sight. Due to our protests this winter, the prescription has been changed — now we are told that the stand will still be harvested but that the overstory will be allowed to remain — at least this was the last information received from Minister Rankin after he had visited the stand in person on February 1st. “I have written twice since that date but am still awaiting an update following the discussions he said he would be having with his staff and the licensee who was awarded approval for that harvest. Many of us feel that even that much harvest is “too much” for such a stand. “I have spoken with a couple of forestry people who tell me that, in their opinion, the Corbett-Dalhousie forest is unique among what remains of our Crown land forests in Annapolis County. That we have very few forests with hardwood of such size and species — one person told me a forest like that might be about one percent of what he has seen in our county in recent years. Now we are all left wondering what happened to all of the other Acadian type forest in our county. “With all of the harvesting that has already occurred, and all that is proceeding, business-as-usual as we head into yet another season of intensive harvesting — what more will we lose before each forest is looked at much more carefully through the lens of the Lahey Report? “People like me are ridiculed by some for being tree huggers. That’s a simplistic term that is thrown in our faces by those who stand to profit from these harvests. However, it is people like me who are concerned about the wholesale destruction of the forest ecology that is taking place in this province while we wait – and wait – and wait – for change to take place. “As individuals, we stand to gain nothing out of the preservation of a forest other than that we see it permitted to dodge the saw and carry on doing what such a forest is best at doing — providing habitat for wildlife, maintaining the natural ecology of that landscape, and doing plenty of carbon sequestration. This entry was posted in Acadian Forest, L&F, Old Growth, Social Media. Bookmark the permalink.